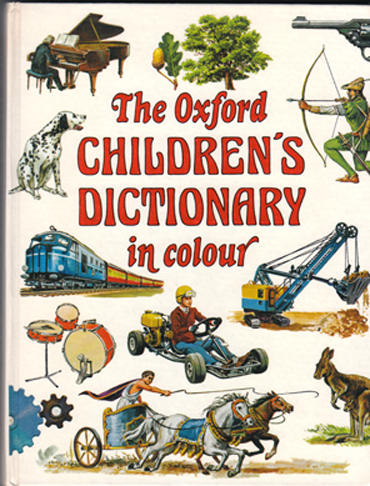 Description: This delightfully nostalgic dictionary is one that everyone would've loved to have owned as a child. With its stunning, full-colour illustrations, you can't help but get that warm, fuzzy feeling as you peruse the pages. Although almost 35 years have elapsed since its publication, the information still remains relevant today, though the 1976 definition of 'computer' is rather humorous: "A very complicated automatic calculating machine". The dictionary is in excellent condition throughout. Measures 19.5 cm × 15 cm (7.8″ × 6″). 8vo. 320pp.